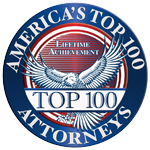 In Pennsylvania, the rules regarding driving under the influence (DUI) are strict and those arrested need an aggressive and experienced DUI defense attorney. The evidence is sometimes vague and relies upon police testimony, lab results (which may be flawed), and important timing requirements. 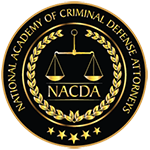 Because of this, an experienced DUI defense lawyer may be able to demonstrate holes in the government’s case against you and get your charges dropped or reduced. In other cases, an experienced attorney can help guide you to alternative programs that keep you out of jail or reduce fines. 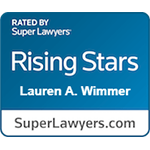 Lauren Wimmer has helped clients successfully defend against DUI charges in Pennsylvania and can put her knowledge to work in your case as well. Contact Wimmer Criminal Defense or call 215-712-1212 for a free consultation to learn how we can provide DUI defense which makes a significant difference in your case. While most people know .08% to be the “legal limit,” PA’s general impairment DUI does not reference the limit at all. This kind of percentage refers to the “blood alcohol limit,” (BAC), a measure of how much alcohol is in your system. This means that you can be arrested, charged, and convicted of DUI in Pennsylvania with a BAC under .08%, or even without a BAC test. The Walk-and-Turn – take a number of steps in a straight line, turn, and walk back without falling over or stepping out of line. One-leg Stand– balance on one foot with the other outstretched in front of you, a few inches off the ground. Horizontal Gaze Nystagmus – follow the officer’s finger with your eyes. Officers may use other tests, too, but none of them are always reliable methods of understanding whether someone is too drunk to drive. This means police need other evidence of bad driving in order to get a strong conviction such as swerving, missing stop signs, or causing an accident. Your defense attorney can help argue against the validity or fairness of these tests and weaken their case. If your BAC is between .08% and .10%, you can be arrested and convicted for violating this DUI law. Pennsylvania’s DUI testing laws changed in 2016 when the U.S. Supreme Court handed-down Birchfield v. North Dakota. Birchfield declared that police need a warrant for DUI blood tests, but not for DUI breath tests (“breathalyzers”). Local and city police in PA usually rely upon blood tests and there is usually a penalty for refusing to take a blood test – but the legality of this has been called into question since Birchfield. In Pennsylvania, the law considers you to have already consented to a blood test just by nature of driving on the roads in Pennsylvania. Police cannot force you to take a blood test, but refusal may still mean an automatic one-year license suspension. Pennsylvania State Police often rely on chemical breath tests, so refusing their tests will certainly get you a one-year suspension. Plus, because of § 3802(a)(1), police may still be able to prove you were driving under the influence even without the BAC results. One last note about BAC tests, either for blood or breath, is that they must be performed within two hours of driving. Because your body absorbs and breaks-down alcohol, your BAC could change drastically within two hours even if you stop drinking. The test must be close in time to the driving to be good evidence. With an intermediate BAC between .10% and .16%, you violate a separate subsection of the DUI statute and face higher penalties. A person needs to be highly intoxicated to have a BAC over .16% and, many times, people with a BAC in this category have BACs much higher than .16%. Often, they cannot even control their bodies anymore – but getting yourself drunk is not a defense to committing most crimes. This holds the highest punishment for DUI offenses alongside drug DUI charges. § 3802(d)(2) covers general impairment DUI charges for drugs and, like general impairment for alcohol, does not need a blood test. Subsection (1) deals with drivers who have drugs in their system, and requires blood test results proving this. Subsection (3) is the general impairment statute for a combination of drugs and alcohol, and does not require a blood test. Note that a chemical breath tests only tests for alcohol, not drugs. A blood test is required to prove drug use for DUI charges under subsection (d)(1). For DUI law, a “minor” is anyone under the age of 21; not 18. Anyone under 21 could be charged with any of these DUI statutes, but this statute lowers the “legal limit” to .02% BAC for people who cannot legally drink. The punishments for DUI scale based on the driver’s BAC and the presence of drugs in their blood. DUI without a BAC, or a BAC between .08% and .10% is a misdemeanor with up to six months of probation, a $300 fine, required driver training and often carries a license suspension as well. DUI with a BAC between .10% and .16% is a misdemeanor with 48 hours to six months in jail, $500 to $5,000 in fines, required driver training, and a one-year license suspension. DUI for a BAC over .16% or drugs is a misdemeanor with 72 hours to six months in jail, $1,000 to $5,000 in fines, required driver training and a one-year license suspension. For repeat offenders, the fines, jail time, and license suspensions all increase. Plus, you may be ordered to use an “ignition interlock” on your car, which will not allow the car to start until it accepts a clean breath test. You may, depending on your criminal record, be able to avoid some of these penalties and reduce your license suspensions by applying to Accelerated Rehabilitative Disposition (ARD) programs. Even if you are convicted, Intermediate Punishment Programs (IPP) may reduce your sentence. To take full advantage of these options, you should speak with a DUI defense lawyer who can help you apply and make sure your application is correct. I work to reduce the charges you actually face and the consequences which may follow. 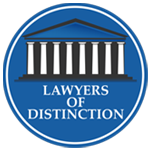 DUI defense requires attention to detail, concentration on driving privileges and whenever possible reduction in the costs associated with a DUI. Call today for a free consultation with an experienced, aggressive and proven Philadelphia DUI defense attorney at 215-712-1212. 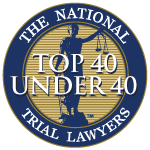 Lauren Wimmer has a track record of helping clients charged with DUI successfully resolve their case and go back to their normal lives. 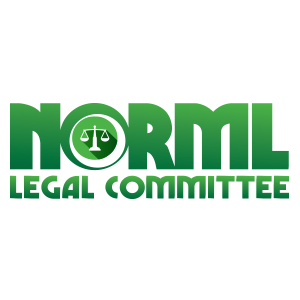 Call for a free, confidential consultation.